Two eventful weeks at home has just been finished. Yes, a little bit how it actually feels even if it's been great fun in many ways. After several rehearsals and relatively much preparations I’ve had the pleasure of doing concerts with singers and musicians locally and the common denominator in all the concerts is Mr. Per-Ake Wennerberg who made all the arrangement of the songs. Last Saturday, I sang along with Habo Church Choir and St. Olof’s Brass Quintet in the old beautiful wooden church; Habo Church built in1680 with its fabulous paintings that adorn the walls and ceiling. I feel proud to have my roots in this region that contains so much interesting history. 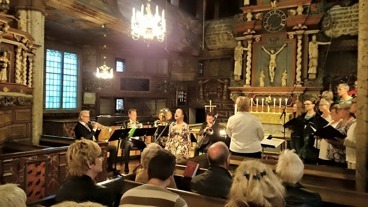 On Sunday St. Olaf Brass Quintet and I continued to Nassjo Covenant Church where we had a concert for the Rotary and the Rotarian Doctors behalf. 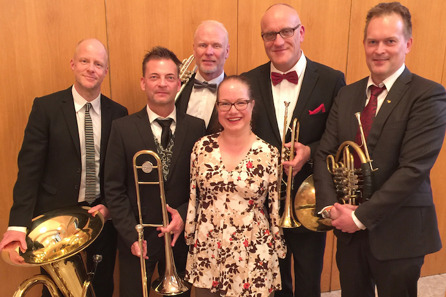 Each year Rotary in Nässjö arrange a big concert and collect money and over the years many celebrities has been their guests. A few years ago we had another concert and then we beat both audience and collection records. This time was a bit different but it was a very enjoyable evening. 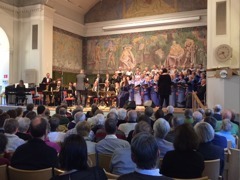 Tonight I had another concert with a spring theme. 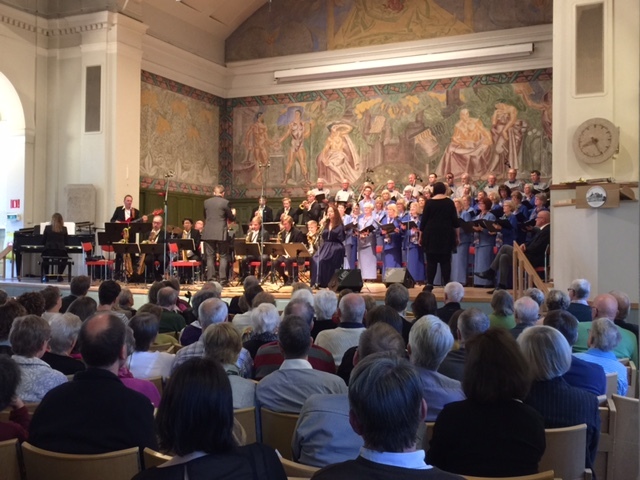 This time in Brahe Hall at my old senior high school; Per Brahegymnasiet in Jönköping together with The Jönköping Choir and the Music School Swingin' New Big Band. Lots of people came and it was a lovely evening where spring sunbeams were looking in through the windows this beautiful spring day. In the midst of all these concerts, I also celebrated my one-year anniversary. A year ago I opened the door to my ‘Shop Lena Maria’. I had a soft start, you could say. Since I only have it open Wednesdays and Saturdays I started to advertise primarily on social media and through my newsletters. But now the local newsletter gave a portrait article of me with a large picture on the front and the local radio channel also gave an interview. This coming week I have two concerts with my band coming up. And then I have two weeks off then I'll enjoy the spring, filling the pool with water and just rest and enjoy and paint!